You are hired by an organization to investigate claims against certain parties, and the organization’s president later directs you to file a lawsuit on those claims. Do you have authority to file suit? Maybe not, a recent case reveals. The Board of Directors of Candle Meadows Homeowners Association voted to retain a lawyer to investigate certain expenditures by former board members. The HOA’s president later told the lawyer the board had voted to file suit against the former directors, and directed him to proceed. After the lawsuit had been pending about a year, the defendants filed a Motion to Show Authority under Rule 12 of the Texas Rules of Civil Procedure. At a hearing on the motion, the president testified the board had voted to authorize the lawyer to file the lawsuit, but he could not recall the date of the meeting and had no minutes documenting such an action. The other directors confirmed they had discussed the claims, but there was no formal vote on the matter. 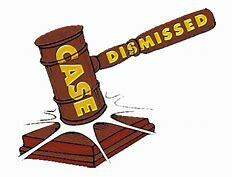 They were, however, aware of the suit after it was filed and did not seek to have it dismissed. Finding the board had not authorized the litigation, the trial court granted the motion and struck the HOA’s pleadings. For lawyers, the lesson is: Be sure you have the necessary authority before filing a lawsuit on behalf of an entity, especially one that may be subject to the Open Meetings Act. And for directors and officers of such an organization, the lesson is: Follow the procedures required by statute and the organization’s bylaws.